After years of experience in vis-NIR spectroscopy of water and aqueous systems, Prof. Dr Roumiana Tsenkova from Biomeasurement Technology Laboratory, Kobe University, Japan, proposed establishment of aquaphotomics (Tsenkova 2006d, b, a, c, 2009) as a new “omics” discipline complementary to other “omics” disciplines, but solely devoted to the study of water, systematization of already abundant knowledge on water-light interaction and to the discovery of new phenomena. Despite numerous methods employed so far to study water, its structure, let alone its functionality, are not yet understood. What aquaphotomics research studies showed is that NIR spectroscopy, and in general water-light interaction over entire electromagnetic spectrum can significantly contribute to the field of water science and better understanding of water molecular systems (Tsenkova 2009). Aquaphotomics is based on so called “water molecular mirror approach”, where all the components of the aqueous system and surrounding energies influence the water structure. Any perturbation would result in changes of water molecular conformation which will, in turn, be reflected in the water spectrum. Given extreme sensitivity of hydrogen bonds, even minute change in the solute composition results in multitude of changes of the water matrix which will be reflected in a mirror-like fashion in its absorbance spectral pattern. The information about the present solutes can thus be acquired indirectly, by analyzing the changes at water absorbance bands. Being rapid and non-destructive, NIR spectroscopy is a powerful method with the incredible range of applications, and aquaphotomics expanded its horizons. The water-mirror approach provides measurements of concentrations previously thought impossible at ppm(Tsenkova 2008b, Sakudo et al. 2006, Gowen, Amigo, and Tsenkova 2013, Bázár et al. 2015, Bázár et al. 2014), even ppb levels under certain experimental conditions (Tsenkova 2008a, b, Tsenkova et al. 2007, Sakudo et al. 2005, Sakudo et al. 2006). One of the proof of concept studies applied aquaphotomics spectral analysis for the purpose of measuring concentrations of different salts ranging from 0.002 to 0.1molL-1 (Gowen et al. 2015). Salts are used as model systems as they do not exhibit the NIR spectrum, therefore the obtained results would be entirely based on the changes in the water absorbance bands. This was the first work examining the effect of salts in such a low concentrations. Using three different spectrometer systems at three different locations on Earth, it was demonstrated that water-mirror approach enables predictions of concentration with the limit of detection at the 1000ppm level. Water molecular mirror approach was further applied for quantification of mono- and di-saccharide solutes at 100-0.02 mM concentration (Bázár et al. 2015). This is the first research confirming the applicability of NIR spectroscopy for qualitative and quantitative analysis of mono- and di-saccharides at millimolar concentrations with the detection limit of 0.1-1mM. Apart from the concentration of analytes, this approach also was successfully applied for measurement of some physical parameters of water systems, such as pH and acidity (Omar, Atan, and Matjafri 2012). Systematization of large aquaphotomics research results led to the discovery of some new absorbance bands, such as the absorbance band of water molecules trapped in the local field of ions (1398nm)(Kojić et al. 2014), and furthermore in discovery of, so called Water Matrix Coordinates – WAMACS, spectral ranges where specific water absorbance bands related to respective functions are found with the highest probability (Tsenkova 2009). The word “coordinates” is used because these are the places in EM spectrum, where measured absorbance of water carries information about various “building blocks” in its particular structure and allow observation of the dynamics of aqueous systems. The WAMACS can be thought of as hubs of information and have been assigned to specific water molecular structures (Tsenkova 2009, Tsenkova, Kovacs, and Kubota 2015). For the water first overtone, 12 WAMACs (labeled Ci, i=1, 12 ) have been experimentally discovered (each 6-20nm width) and these have been confirmed by overtone calculations of already reported water bands in IR range (Tsenkova 2009). The aquaphotomics thus contributed to the fundamental knowledge about water and light interaction, bringing new information and novel possibilities for applications. Bázár, G., Z. Kovacs, M. Tanaka, A. Furukawa, A. Nagai, M. Osawa, Y. Itakura, H. Sugiyama, and R. Tsenkova. 2015. “Water revealed as molecular mirror when measuring low concentrations of sugar with near infrared light.” Analytica chimica acta 896:52-62. Bázár, G., Z. Kovács, M. Tanaka, and R. Tsenkova. 2014. “Aquaphotomics and its extended water mirror concept explain why NIRS can measure low concentration aqueous solutions.” Aquaphotomics,“Understanding Water in Biological World”, The 5th Kobe University Brussels European Centre Symposium “Innovation, Environment, and Globalisation”, Brussels, Belgium. Gowen, A., J. Amigo, and R. Tsenkova. 2013. “Characterisation of hydrogen bond perturbations in aqueous systems using aquaphotomics and multivariate curve resolution-alternating least squares.” Analytica chimica acta 759:8-20. Gowen, A., F. Marini, Y. Tsuchisaka, S. De Luca, M. Bevilacqua, C. O’Donnell, G. Downey, and R. Tsenkova. 2015. “On the feasibility of near infrared spectroscopy to detect contaminants in water using single salt solutions as model systems.” Talanta 131:609-618. Kojić, D., R. Tsenkova, K. Tomobe, K. Yasuoka, and M. Yasui. 2014. “Water confined in the local field of ions.” ChemPhysChem 15 (18):4077-4086. doi: 10.1002/cphc.201402381. Omar, A.F., H. Atan, and M.Z. Matjafri. 2012. “NIR spectroscopic properties of aqueous acids solutions.” Molecules 17 (6):7440-7450. Sakudo, A., R. Tsenkova, T. Onozuka, K. Morita, S. Li, J. Warachit, Y. Iwabu, G. Li, T. Onodera, and K. Ikuta. 2005. “A novel diagnostic method for human immunodeficiency virus Type‐1 in plasma by near‐infrared spectroscopy.” Microbiology and immunology 49 (7):695-701. Sakudo, A., R. Tsenkova, K. Tei, T. Onozuka, K. Ikuta, E. Yoshimura, and T. Onodera. 2006. “Comparison of the vibration mode of metals in HNO3 by a partial least-squares regression analysis of near-infrared spectra.” Bioscience, biotechnology, and biochemistry 70 (7):1578-1583. Tsenkova, R. 2006a. “Aquaphotomics. Aquaphotomics and Chambersburg.” NIR news 17 (6):12-0. Tsenkova, R. 2006b. “Aquaphotomics: exploring water-light interactions for a better understanding of the biological world. Part 2: Japanese food, language and why NIR for diagnosis?” NIR news 17 (5):8-14. Tsenkova, R. 2006c. “AquaPhotomics: water absorbance pattern as a biological marker.” NIR news 17 (7):13-0. doi: 10.1255/nirn.926. Tsenkova, R. 2006d. Tomas Hirschfeld Award Lecture. Orlando, Florida, USA. Tsenkova, R. 2008a. “Aquaphotomics: acquiring spectra of various biological fluids of the same organism reveals the importance of water matrix absorbance coordinates and the aquaphotome for understanding biological phenomena.” NIR news 19 (1):13-15. Tsenkova, R. 2008b. 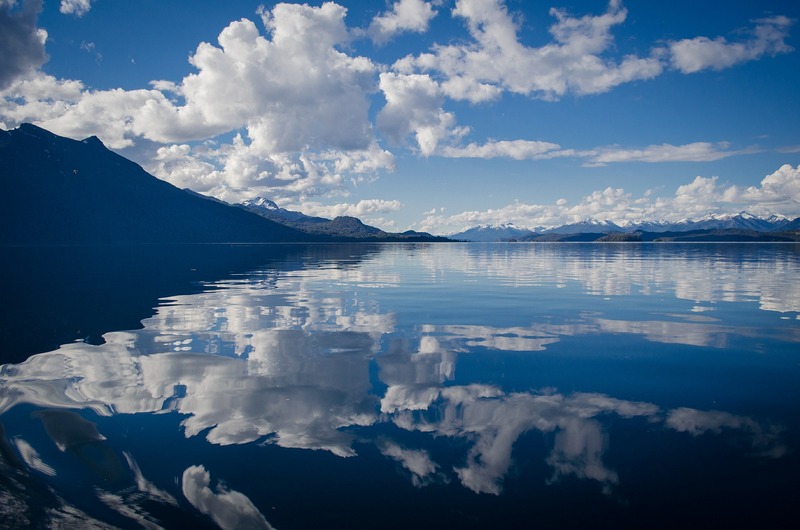 “Aquaphotomics: the extended water mirror effect explains why small concentrations of protein in solution can be measured with near infrared light.” NIR news 19 (4):13-14. Tsenkova, R. 2009. “Aquaphotomics: dynamic spectroscopy of aqueous and biological systems describes peculiarities of water.” Journal of Near Infrared Spectroscopy 17 (6):303-313. doi: 10.1255/jnirs.869. Tsenkova, R., E. Iso, M. Parker, C. Fockenberg, and M. Okubo. 2007. “Aquaphotomics: a NIRS investigation into the perturbation of water spectrum in an aqueous suspension of mesoscopic scale polystyrene spheres.” 13th international conference on near infrared spectroscopy, Umea-Vasa, Sweden & Finland. Tsenkova, R., Z. Kovacs, and Y. Kubota. 2015. “Aquaphotomics: near infrared spectroscopy and water states in biological systems.” In Membrane Hydration, 189-211. Springer.